Scott Amron has got some lovely concepts on his site that make use of electric sockets. 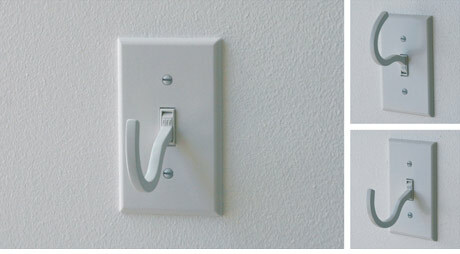 I particularly like the above coat hook light switch ‘Off’, which is designed to persuade people to use less energy. Another concept that tickled my fancy was his Kids Radio Dial DJ which mixes two internal radio tuners. Aug 13	This entry was posted in Design by cookie. Bookmark the permalink. Nice idea but surely it can’t be of any use to us here in the UK? I mean, the screws are in the wrong places, aren’t they?